We are pretty much familiar with the logo of the popular browser- Mozilla Firefox. Love it or hate it, this logo is now going through a major revamp. The news came on Monday when, Tim Murray, the company’s creative director, and Madhava Enros, senior director of Firefox User Experience announced through a blog post that their brand needs “evolving”. By now Firefox was identified only as a web browser, but now there are many ventures that are getting extended under the umbrella of Mozilla Firefox. As an icon, that fast fox with a flaming tail doesn’t offer enough design tools to represent this entire product family. Say ‘Firefox’ and most people think of a web browser on their laptop or phone, period… there’s more to the story now, and our branding needs to evolve. To make the users all across the globe involve in choosing the best logo for them, the company shared two “design system approaches”. 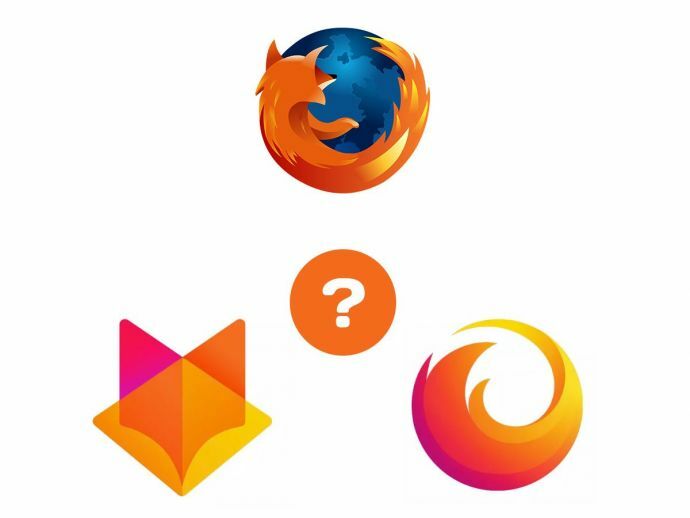 The selection is to be made for the master brand icon; one has geometric fox head whereas the other has a swooshing flame and both are in the gradients of red, pink, orange and yellow. Apart from this, the company also asked to select from the options designed for general browser icon, e.g. Firefox Focus. Mozilla is expanding and has unleashed two systems that contain 12 logos each. Each individual icon will undergo several rounds of refinement, or may change entirely, between now and their respective product launches. Our focus at this point is on the system.